The hotel, located on the Riviera Nayarit’s Glamour Peninsula, is the perfect spot for a challenging but fun training program set in an ambiance of luxury and wellbeing. 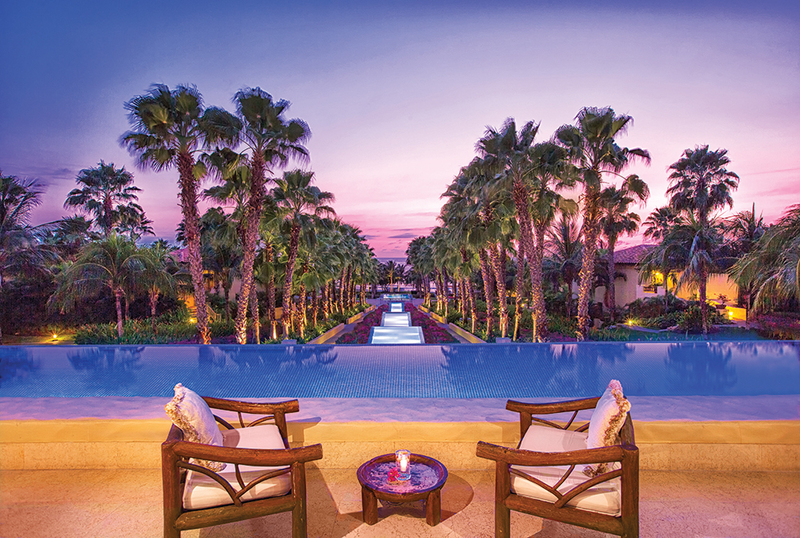 Riviera Nayarit’s Five-Diamond St. Regis Punta Mita Resort is pulling out the stops to celebrate its ten years of offering unforgettable stays in the exclusive and luxurious Punta Mita, known as the Glamour Peninsula. 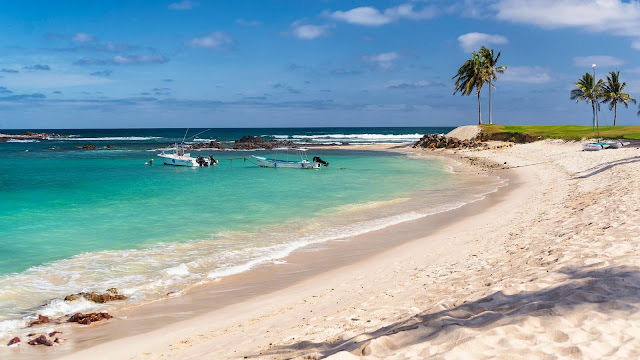 Since it opened in 2008 the hotel has been known for its extreme attention to detail, ensuring its guests enjoy every bit of its exquisite architecture and exuberant vegetation that extends along one of the most beautiful beaches in the world. Because it only offers the very best and is aware that wellbeing has become a priority, The St. Regis Punta Mita Resort has expanded its portfolio of experiences to celebrate its 10th anniversary with the launch of the “Reboot Beach & Mindfulness Bootcamp” (in alliance with the Sersana Method). This fitness program was designed by Leticia Román and Ana Jimena Ramírez—and it’s causing a stir among Mexico’s celebrities and socialites. The six-day bootcamp, which takes place from June 24-30, is being offered in response to the luxury clientele’s growing need for options focused on physical and mental wellbeing. 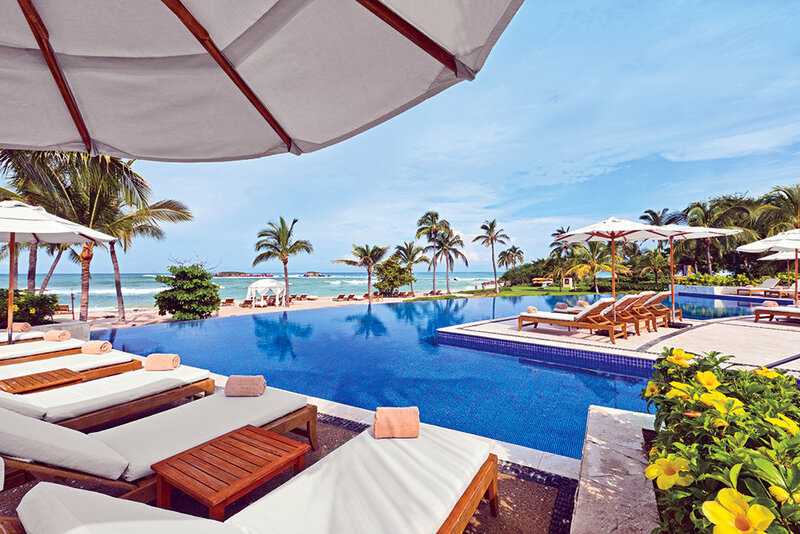 It also offers a unique opportunity to enjoy Punta Mita’s idyllic beaches and amenities. The strict nutrition guide will be designed by Manuel Peruyero, Executive Chef and creator of The St. Regis Punta Mita’s vegan restaurant, who will be creating a delicious menu to complement the fitness program. “We’re celebrating our tenth anniversary by expanding our wellness program together with Sersena; this allows us to keep offering unique experiences to our guests while reinforcing our commitment to wellness and mindfulness,” explained James Hughes, the hotel’s General Manager. 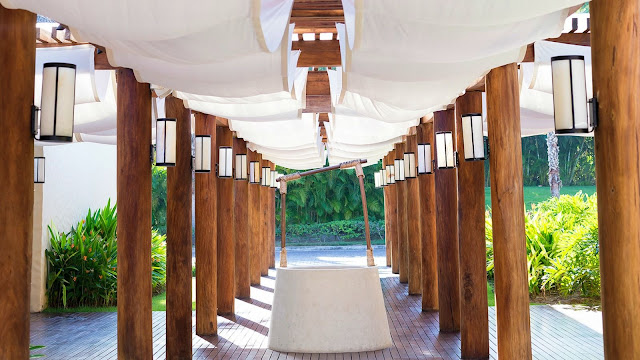 Since it opened in 2008—when it was part of Starwood Hotels & Resorts—this hotel has excelled in its extreme attention to detail, its guests enjoy every bit of its exquisite architecture and the exuberant vegetation that extends along one of the most beautiful beaches in the world. In the ensuing years it became one of the luxury brands that lend prestige to the Riviera Nayarit, garnering important international awards and recognitions including a spot among the “20 Best Hotels in the World” as selected by the readers of Travel + Leisure for their annual “2014 World’s Best Awards.” It has also retained the AAA Five Diamond award since its opening, a recognition given only to those hotels that meet the highest standards of service. In 2016, The St. Regis Punta Mita became part of Marriott International properties, a hotel conglomerate that owns over 5,700 properties worldwide. Designed by RoyAzar from Roy Azar Architects, the resort offers its guests 120 elegant rooms and suites decorated with European-design furniture, plus an ultra-luxury three-bedroom suite complete with views of the Pacific Ocean, gardens, and mountains, the legendary St. Regis Butler Service, a Remède Spa, and over 1,000 square meters of space for events and conventions. The Hill Glazier architecture combines design elements from Provence, France, and Mexico, using natural materials such as marble, onyx, wood, and clay. The Bahía de Banderas Hotel and Motel Association (AHMBB) and the Riviera Nayarit Convention and Visitors Bureau (CVB) would like to congratulate The St. Regis Punta Mita Resort for its tenth anniversary and its consistent leadership in the luxury market as it continually improves upon the quality of its products and services, contributing both to a better experience for the tourist and to the promotional efforts for the destination.